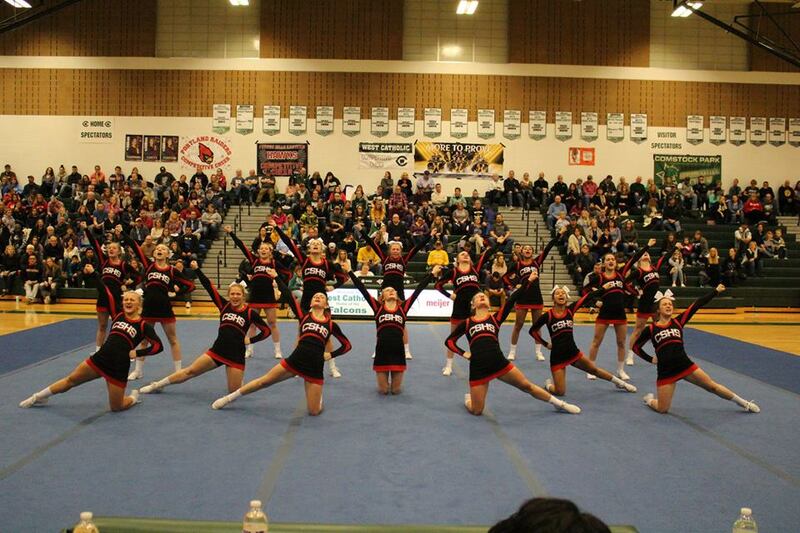 Cedar Springs Varsity Competitive Cheer took the top spot at last weekend’s invitational. Courtesy photo. 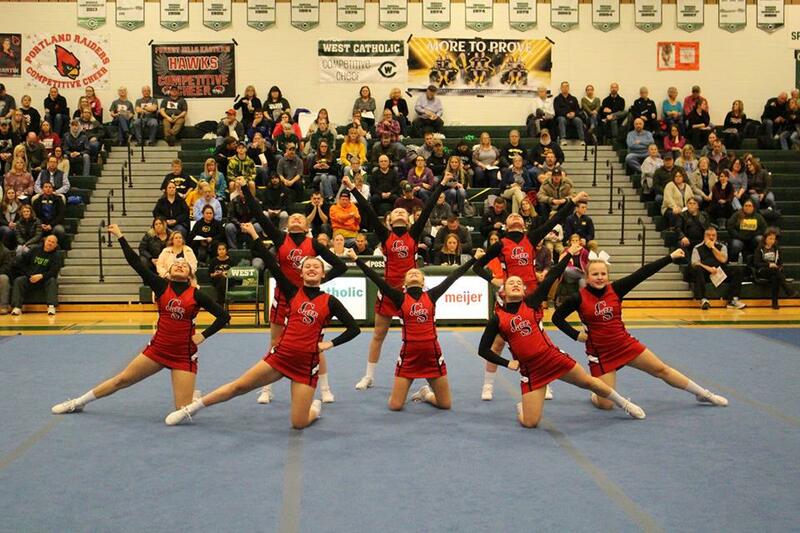 Cedar Springs JV Competitive Cheer ran away with the win in their bracket at last weekend’s invitational. Courtesy photo. The Cedar Springs High School Competitive Cheer teams captured first-place wins at the West Catholic Cheer Invitational on January 18. The Varsity team squared off against seven teams in their bracket and earned strong scores in round one (228.6) and round two (218.68). Spectators erupted in excitement during round three when the stunt group of Paige Pierson, Harlow Hovarter, and Sophia Dault mustered all their strength to push their falling flyer, Gabby Endres, up into her heel stretch and saved the team from major deductions. The team not only finished first in their bracket but also secured the top spot of the entire invitational, with a combined round three score of 736.38. The Lady Red Hawks will travel to Caledonia to compete in the LMCCOA Scholarship Invitational. A few of the team’s seniors are hoping to hear their names announced as winners of this scholarship. Good luck seniors and good luck to the Lady Red Hawks as the Road to State continues. #EARNIT!